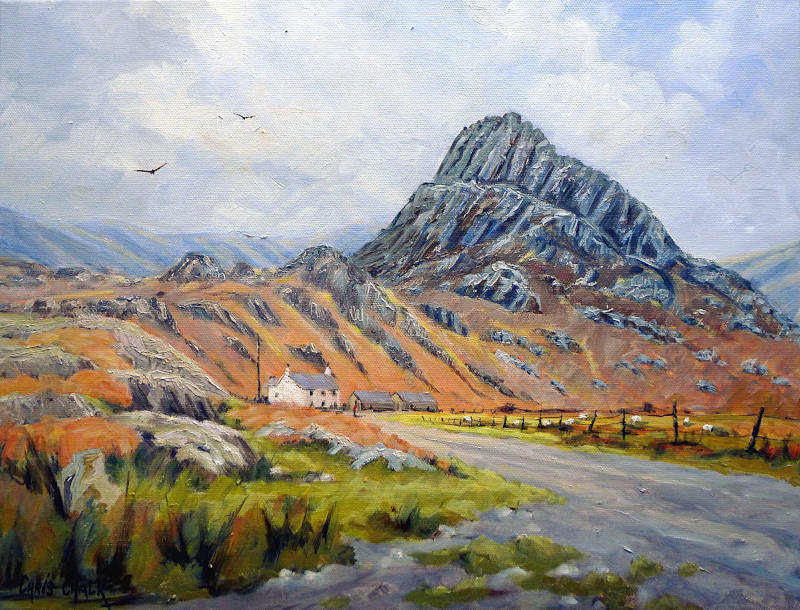 Tryfan is a mountain in Snowdonia, Wales. 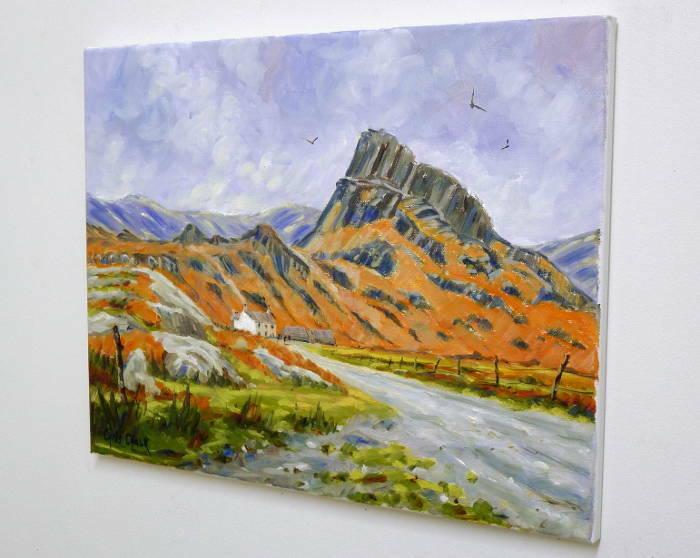 It forms part of the Glyderau group, and is one of the most famous and recognisable mountains in Britain. With it's classic pointed shape and rugged crags, it stands 917.5 metres above sea level and is the fifteenth highest mountain in Wales. Painted on Loxley Gold stretched canvas, 18 inch x 14 inch x 1/3 inch - This painting can be framed, or hung un-framed as shown.